The following individuals supported the July 2018 premiere of Isabel & The Runaway Train by providing direct care before and after our shows. If you interacted with a wellness professional who is not featured here, please reach out to us at Isabel.RunawayTrain@gmail.com and include the date of your Isabel experience in the message. Please note that Isabel & The Runaway Train does not provide professional referrals, recommendations, or endorsement services. We simply open the door for you to further connections with individuals who share our vision. We wish you well as you connect! I have always felt connected to helping others and felt a lot of compassion for the human condition. As a therapist I get to guide others in finding their own power to heal themselves and rediscover their authentic self. What do you think you would be if you were not a therapist? If I was not a therapist I would be an artist or teacher of the arts. More About Sigal: My style is person-centered and integrative, and I believe every treatment goal should be individualized to the client’s needs. Art therapy is a form of expressive therapy (music, dance and movement) that uses the creative process of making art to improve a person’s physical, mental, and emotional well-being. The creative process can help people resolve issues as well as develop and manage their behaviors and feelings, reduce stress and anxiety, and improve self-esteem and awareness. I work with adults utilizing both talk therapy and art therapy interventions to help reduce anxiety, depression, and to identify other core issues. I am trauma-focused and work very closely with individuals struggling with a history of sexual abuse, domestic violence and other past traumas; or with those who are experiencing current PTSD. I often integrate mindfulness practices and body awareness in session to help support clients and to provide grounding. Since childhood, I've been deeply passionate about helping people uncover their true potential, understand and find their authentic voice and mostly recognize that no matter what they've been through, it's never too late to start again. A Yoga Instructor and College Psychology Professor. 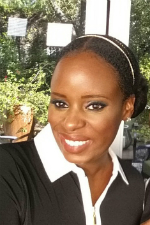 More About J-Rock: Known affectionately by many as "J-Rock", Junice Rockman (pronounced Je-neice) works as a Clinical Psychotherapist, in the area of Marriage & Family Therapy, specializing in Trauma Recovery, Nutritional Psychology and Behavioral Addictions. 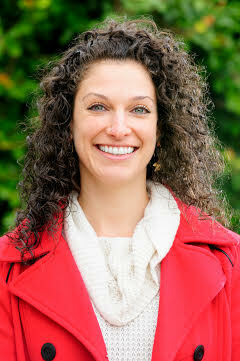 She enjoys working with clients to help them understand the long term impact of family of origin relationships, the effects of unresolved trauma, the brain-body connection to nutrition and how to break free from behavioral addictions. After years of extensive travel abroad, Junice brings a global and multicultural perspective to her work. She's passionate about helping clients and patients discover their authentic voice, reduce self-sabotage and end chronic unproductive behavioral patterns. With regular appearances on CBS television and NPR Radio, she's dedicated to helping make mental health a mainstream conversation, especially in media. J-Rock believes counseling is more than crisis management, but should be a part of a preventive long term care. Her clients often seek her out for her compassionate, yet direct approach. As co-founders of Evolve Therapy, we (Marci Lawson & Grace Secker) work passionately with our clients to help obtain the relief you need. We love what we do, and a large portion of that is due to the clients we attract. Working with people who are committed to the evolution of healing is what wakes us up in the morning. From our personal therapeutic experiences of healing, we know healing is possible. If we weren’t therapists, we would be furry house pets. Marci would be a playful, sun-bathing kitty, and Grace would be a cuddly, yet energetic pup.